When I started traveling around Japan, for sure, I wanted to take a souvenir with me from every place I went to – just so I have to something I can take in my hand to remind me of my trips, next to photos and my memory. But what should I take? It shouldn’t be too expensive, it shouldn’t be too big, and it should be something I can get all around the country, too. I found a solution for all of these requirements: keychains! By now, I have visited 34 prefectures (of the 47 prefectures Japan has) and from each one I have at least one keychain. In deciding which one I should buy, I go with my favorite characters. Certainly, there are always those keychains that aren't in character form, as well. So far I have collected keychains from Pokemon, Rilakkuma, Hello Kitty, Chopper from One Piece, Koro-sensei from Assassination Classroom and Detective Conan. I wanted to choose only one of these characters, but the keychains are always so cute that I can’t resist buying them. Especially because all have something special reflecting the particular prefecture. So, let us take a closer look to my collection. 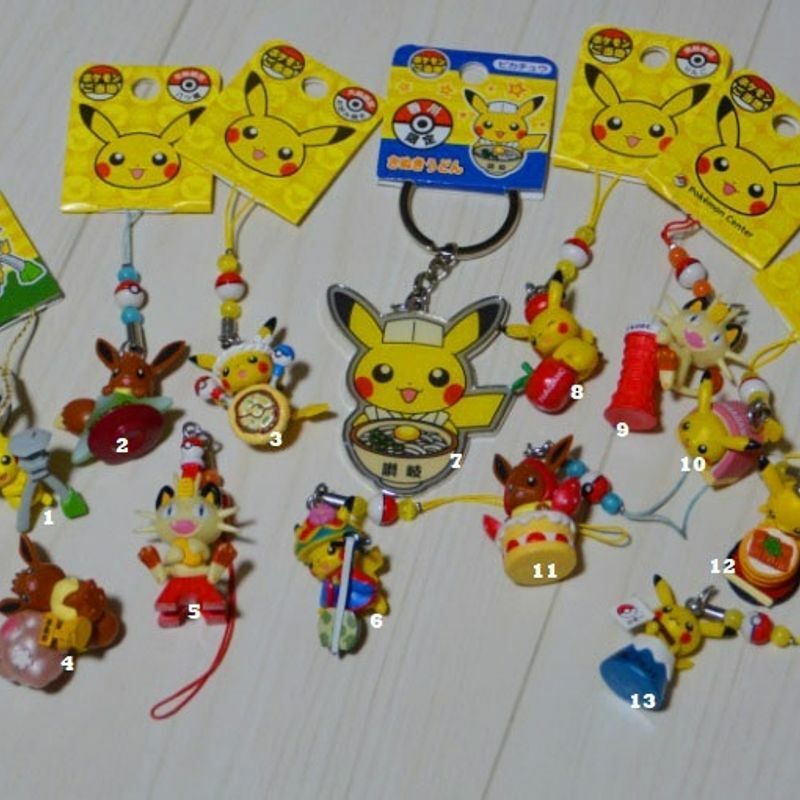 I love Pokemon and I am so happy that there are such keychains all around Japan. You can mainly find them at the Pokemon Centers and Pokemon stores, but sometimes also at tourist souvenir shops. 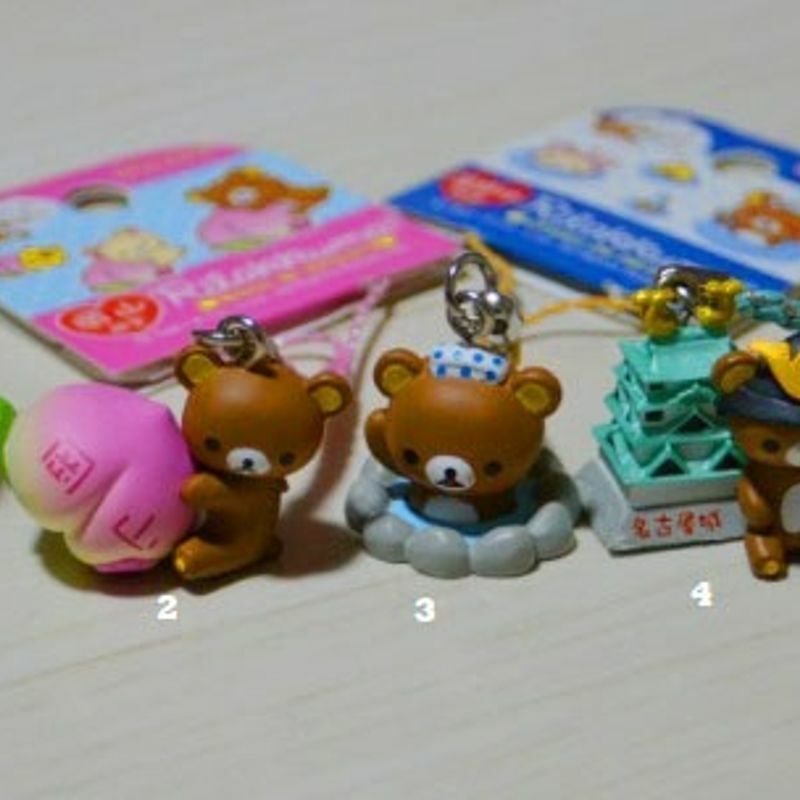 Even though my favorite character is Rilakkuma, I just have a few regional keychains. First I have the Hyogo one (1) with Himeji castle, some goes with the Aichi (4) and Nagoya castle. For Okayama (2) they choose a big peach fruit and for sure, Kanagawa (3) goes with Hakone onsen. 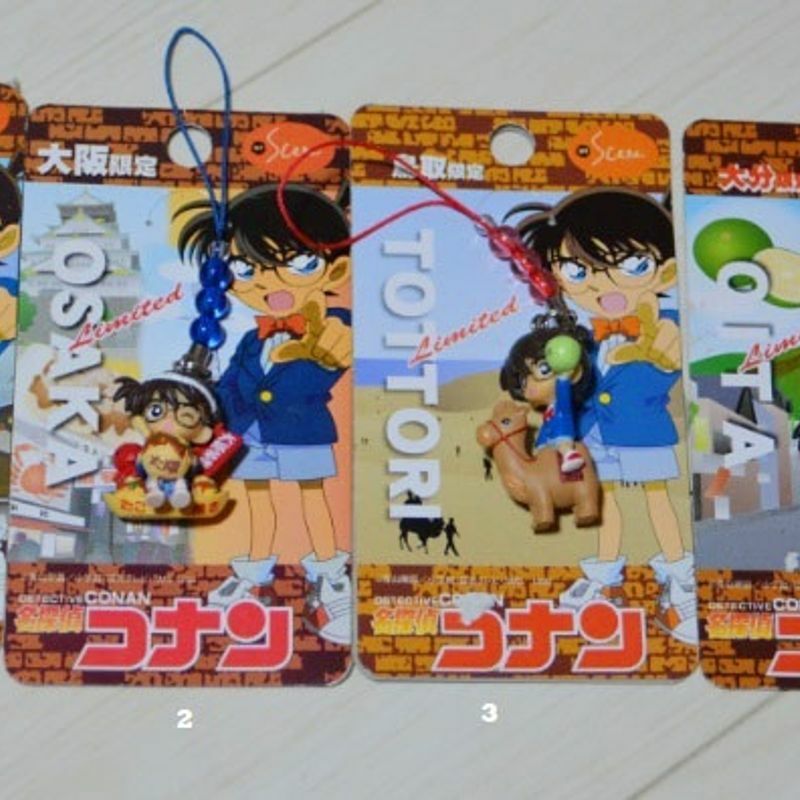 I am a fan of Detective Conan, but unfortunately I have only found a few regional keychains so far. 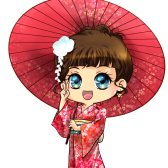 The Kyoto one (1) shows Conan in a Shinsengumi Samurai outfit, the Osaka one (2) goes with the famous Takoyaki which is really cute. Because of the desert in Tottori (3) Conan is sitting on a camel and the last one form Oita (4) shows the little detective with Kabosu citrus which is famous for this area. 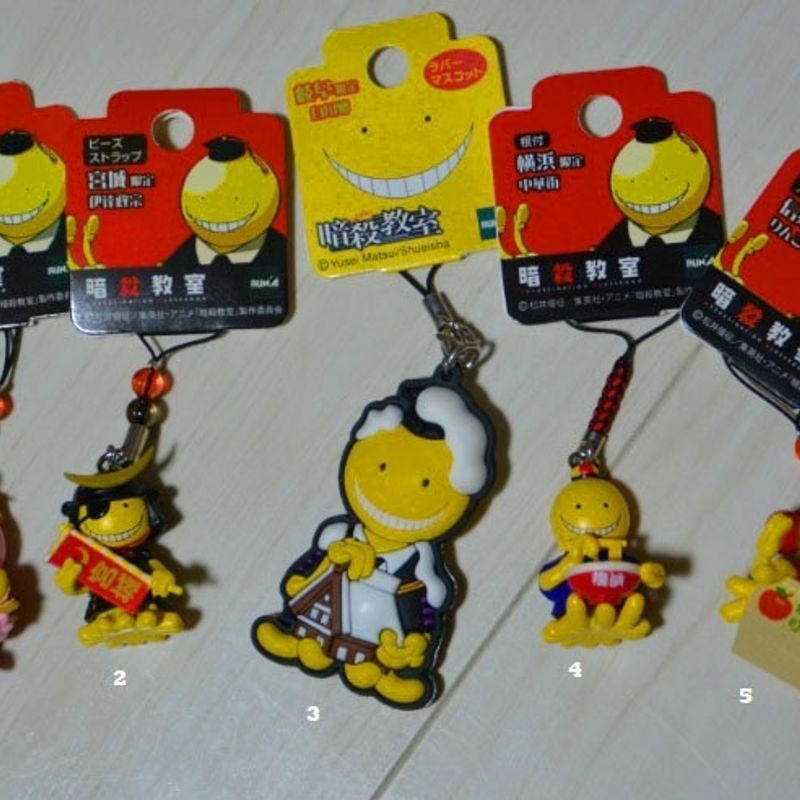 The manga and anime Assassination Classroom became popular over the last few years and so new prefecture keychains with Koro-sensei have been released. I just have a few so far. First we start with Aichi (1) where Koro-sensei hugs a sashihoko from Nagoya castle. The one from Miyagi (2) presents the yellow monster as Date Masamune, while the one from Gifu (3) shows the famous Shirakawago houses. I even got one from Kanagawa (4) with Koro-sensei styled for Yokohama Chinatown. The last one here is from Nagano (5) with the famous shinshu apples. 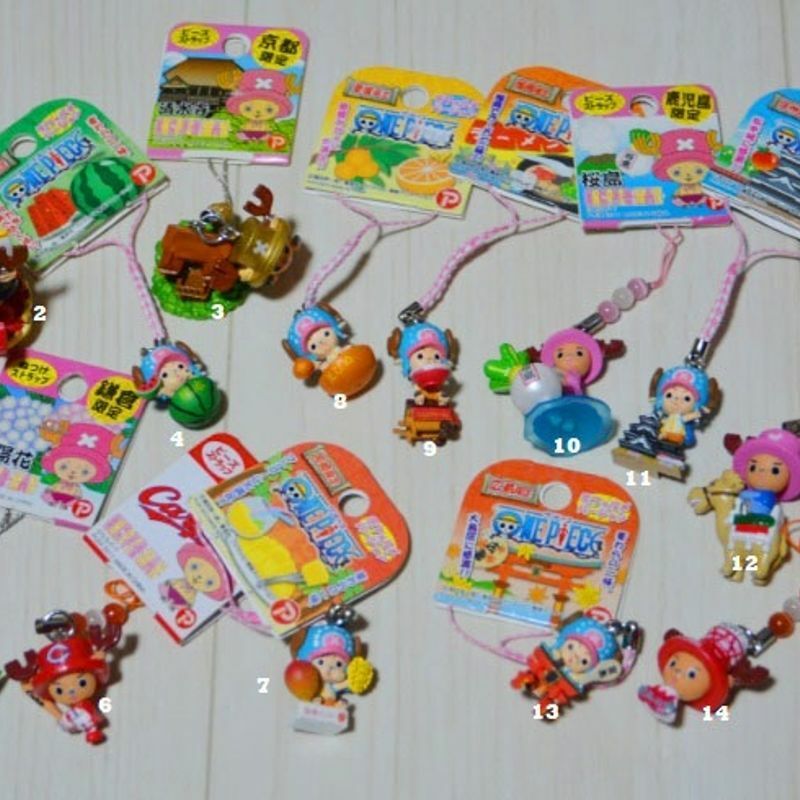 I counted up these keychains with my husband a while ago, but I already forgot the number again. It was something over 50 anyway. This makes me come to the price. Mostly one keychain costs 580 yen, but this price can go up and down depending on the place and how the keychain is made. 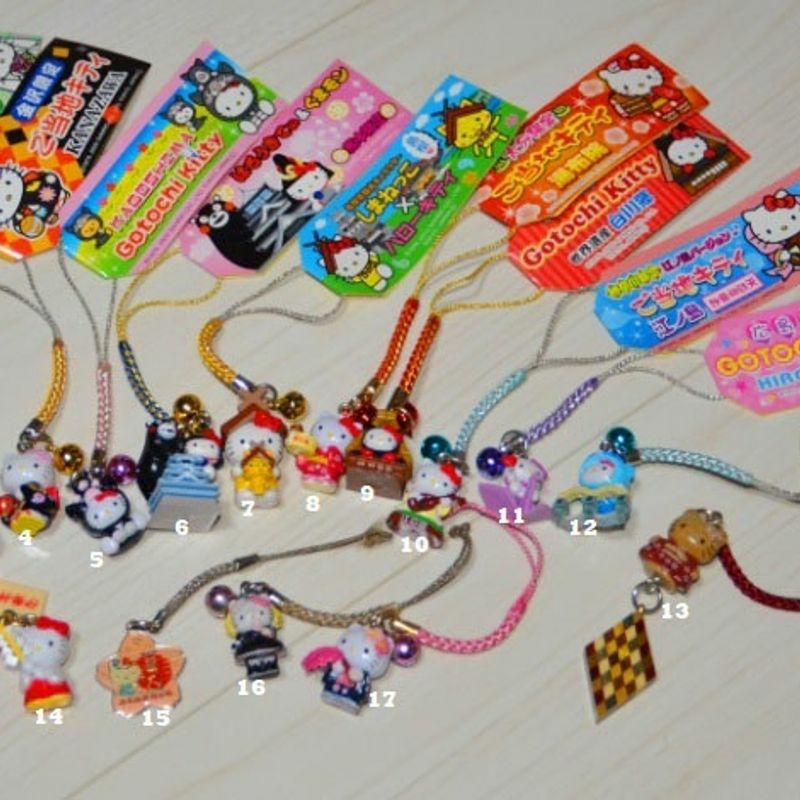 If you want to buy some yourself, take a look around the tourist shops and other places with omiyage (souvenir) goods. They also often have them at bigger stations and airports. 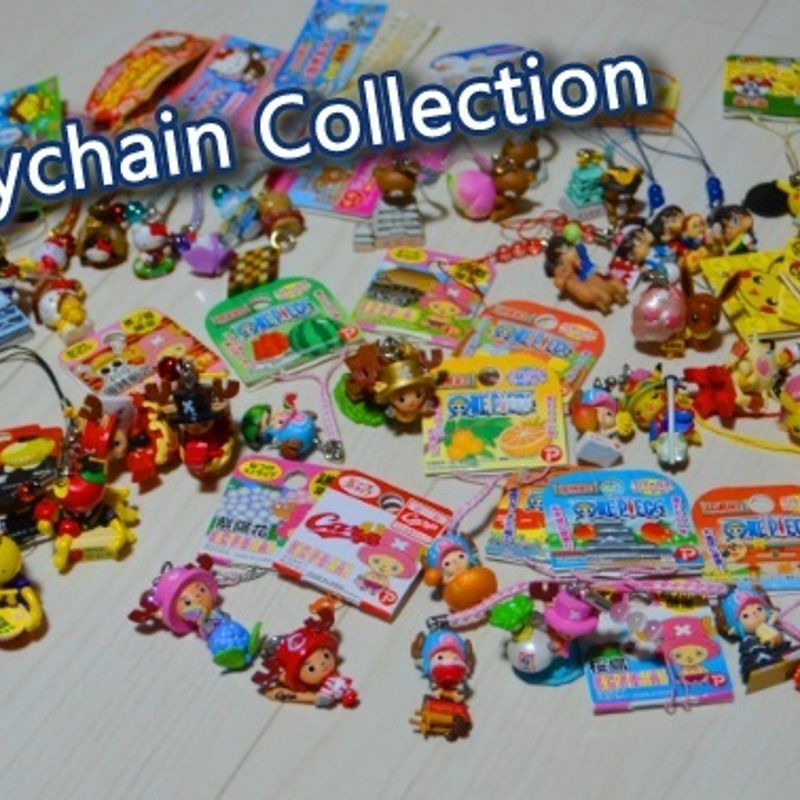 What do you think about collecting keychains? And which of my collection do you like best? I would be glad to hear something from you!